Iguana Sell Pens | New Montegrappa St. Mortiz Limited Editions!! In the Engandine valley of the Swiss Alps, lies the well known resort town named St. Moritz. This small town has become one of the most important tourist destinations in Europe, thanks to its wonderful landscapes and sport and culture activities. 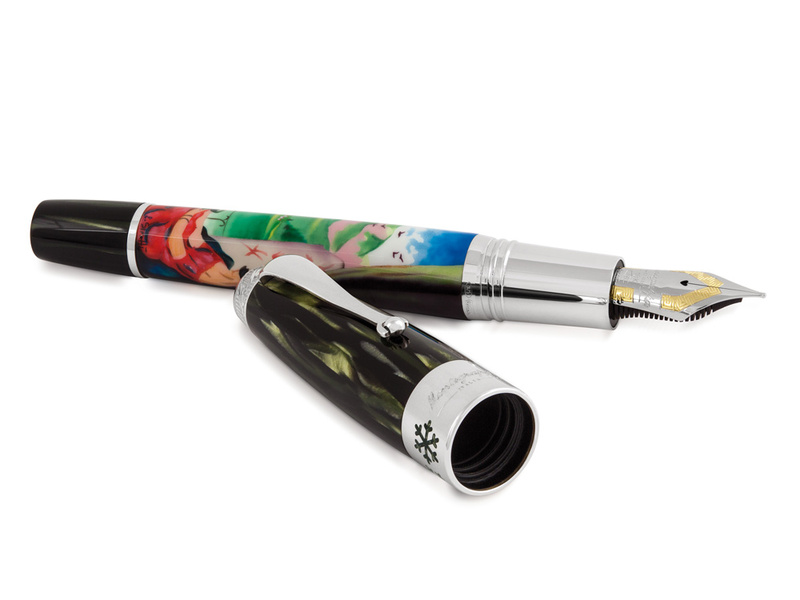 In honour to this European resting paradise, Montegrappa pens had created a few limited editions inspired in different activities that have taken place in St. Moritz, and now comes back with New St. Moritz Limited Edition Pens! 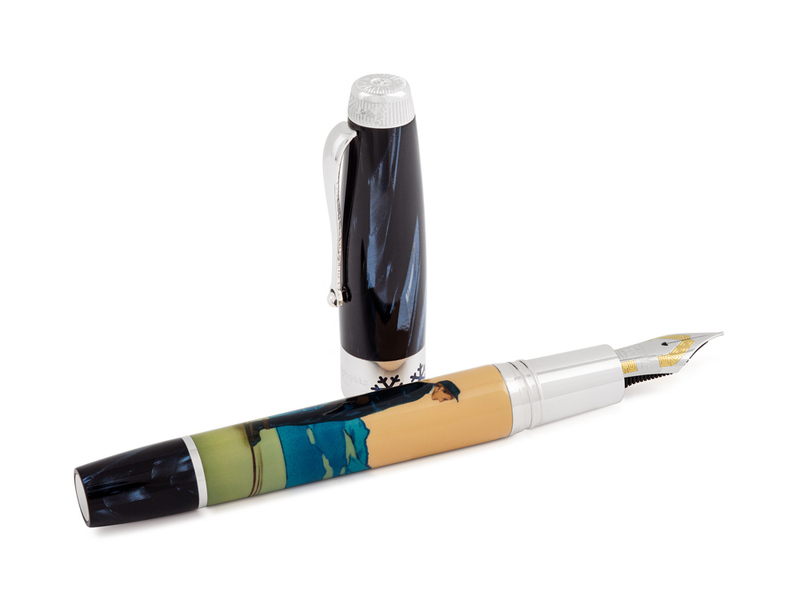 Each pen is finished in high quality celluloid and silver plated accents. The four new designs are hand painted and are based on posters of the early 20th century. The first model is called Red Jacket, and features a lady enjoying a relaxing time in good weather on the shores of the Engandine Lake. 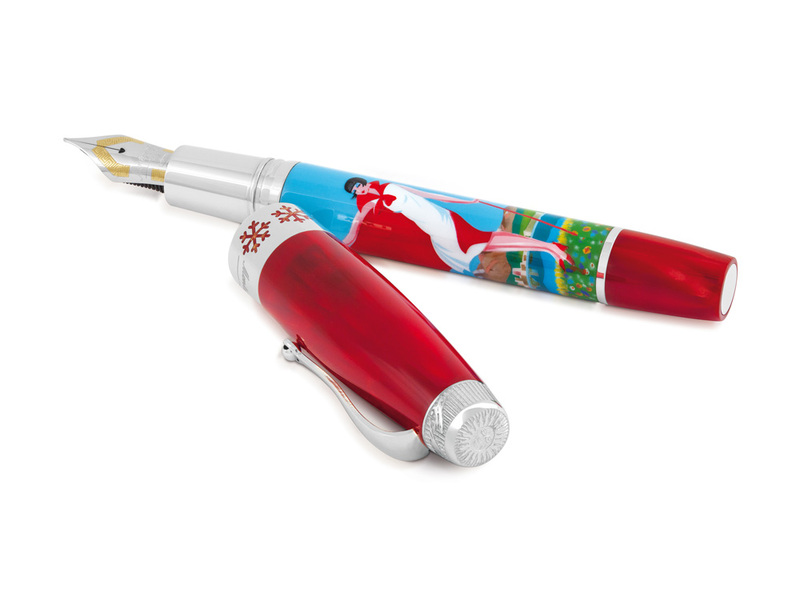 Of course, the pen is finished in red celluloid, to match the hand-painted design. The Tea-Time design features a couple having tea with the beautiful landscape of the Swiss Alps. This pen is finished in dark green celluloid to give it a more interior and relaxing sensation. Like all four models, the central ring presents Montegrappa’s signature and snowflakes. After all, in Switzerland it snows a lot!! That brings us to a colder pen in dark blue celluloid, which recalls skiing races in St. Moritz’s different skiing stations. This is no doubt, the central attraction the Swiss resort town has. These pens have an 18K gold nib with rhodium accents. The last model of these new limited editions represents a car race that took place in the Alps in 1929. 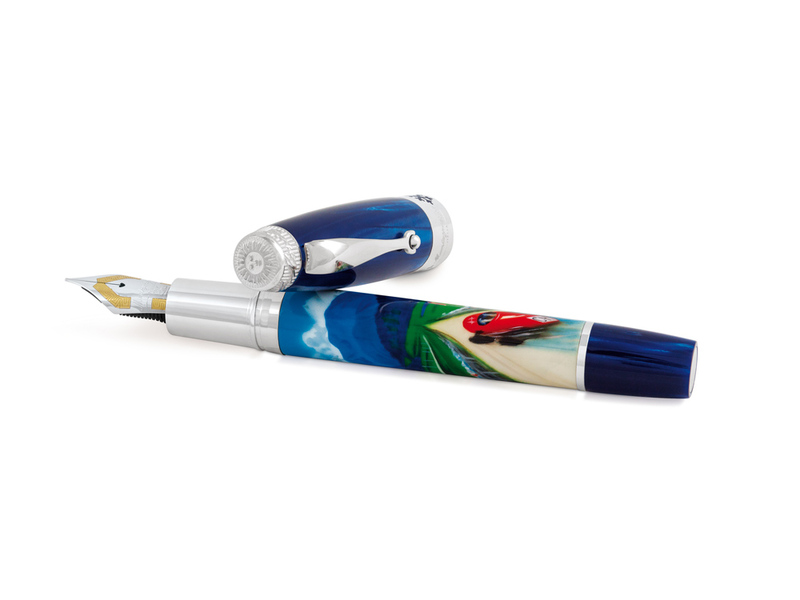 The pen is finished in blue celluloid, which blends in with the painting. All four models are available at Iguana Sell. A great souvenir for those who have already visited the beautiful resort!